So we just made a quick run to the local Rocket Fizz shop here because a buddy of mine is "on assignment"in Indianapolis right now and stopped into a Rocket Fizz there and looked over a bunch of root beers to ask if there were any i needed. I conferred with him for a bit and then decided to run down to our local shop (as mentioned) since he would have to try and pack them in his checked baggage to fly home with, and i just felt that was a bit too risky. But it was fortunate that he contacted me because Rocket Fizz did indeed have a ton of root beers that i needed. I haven't been to that shop for several years now. Last time i went was in Thousand Oaks, CA and the guy there was trying to talk me into opening a franchise of my own in Phoenix. Well apparently someone else beat me to it and it turns out that they have a pretty decent rotation. Long story short, i got 14 more root beers i don't already have, and when i brought them home and added them to the collection i have been accumulating over the last several months/years in my fridge, i decided it was high time that i review another root beer. Probably need to pick it up in the next couple weeks/months because i have a bit of a back log and haven't posted for quite some time. So with that long and senseless preamble, lets talk about Cicero Salted Caramel Root Beer. This isn't one i picked up tonight. It's one my sister-in-law got for me somewhere in Utah, though they did have it at Rocket Fizz. This root beer comes out of Chicago, IL. Cicero Beverages has a whole line of sodas, including another "Chicago Style" root beer. If it's anything like Hank's or Goose Island, i'm sure i would like it. An interesting note, the website says it is "certified women owned". So there you go. That probably means they want it to be said with the somewhat pretentious pronunciation "care-uh-mel" instead of the common tongue's "car-mull" that we lay folk use in our informal conversations. And by "we lay folk", i mean you dummies. This root beer comes in a brown 12 oz. glass bottle. The label shows what i assume is the iconic Chicago riverfront with the river as a delicious golden brown river of care-a-mel. My wife and i did an architecture cruise up that river many years ago and it was lovely. I've visited Chicago twice and really enjoyed myself both times. The rest of the label is well designed. It looked like an aged piece of parchment with burnt edges and bold lettering. I like it. And they are true to their word because this stuff tasted like thick salted caramel. It really has no root beer base that i can discern at all. It's basically straight caramel, which means it's very very sweet. It's also very good. I have yet to encounter someone who doesn't like a good salted caramel. However, i really would have liked at least a small hint of root beer. They should have just called this salted caramel soda, not salted caramel root beer. Overall though, it's still a dang good soda. My official review is that Cicero Salted Caramel Root Beer gets 7 (seven) IBCs. I like it. It's a good "root beer". 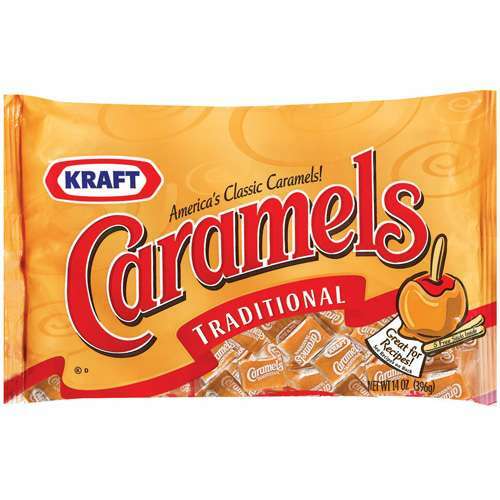 My wife really enjoys Kraft traditional individually wrapped caramel cubes, and while they may not be strictly categorized as "salted caramels", this is what i think of while i drink this root beer. Again, i wish it was a bit more root beer flavored, but it's still a very good one. Definitely try one out if you get a chance.